Violinist Judith Ingolfsson and pianist Vladimir Stoupel are both soloists with accomplished international concert careers. They have also been equally successful since they began searching for new paths in chamber music together in 2006 and devoted themselves to the cultivation of an unusual repertoire. This undertaking also includes their project �Concert‐Centenaire�. It is dedicated to composers, whose lives were influenced by the First World War, or in the case of Alb�ric Magnard and Rudi Stephan, were even put to an end. The German composer Rudi Stephan, who died at a young age, was one of the great hopefuls among the composers of the pre‐war era. The Grotesque for violin and piano, which is his only surviving work for chamber music, is a fascinating testimony of his unique, colourful and contrasting musical language, whose extremes of expression are an exciting challenge for every artist. Alb�ric Magnard was one of the greatest French composers of that era: expansive, noble themes with a powerful style, expressive harmonies and contrapuntal finesse � these outstanding qualities of his work are also brought to light in his Violin Sonata. 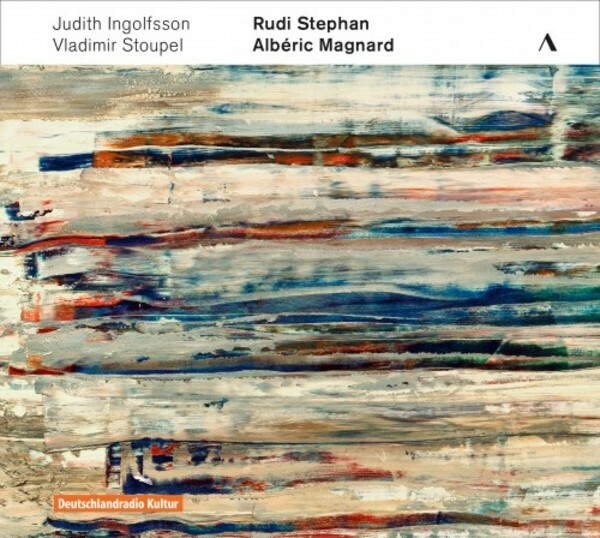 The three CD series �Concert‐Centenaire�, including works by Alb�ric Magnard, Rudi Stephan, Louis Vierne and Gabriel Faur�, will be released in 2016 by Accentus Music.